So cozy! I’d like to join in…. My son would LOVE that a little nook like that! How fun?! I love it! 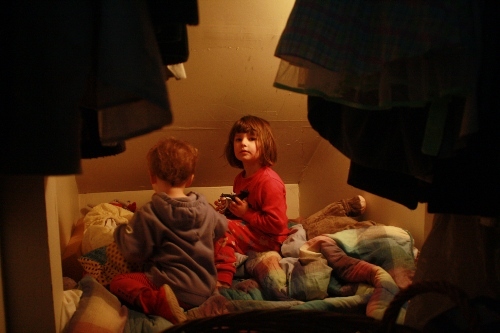 One of my favorite things to do as a kid was make cozy hideaways like that. I love how absorbed they look.